Life Happens! Whether we like it or not, life is constantly changing. For many of us, it takes a lot of effort just to keep up with changes at work, home, church and/or school. Because of the many changes that occur daily, we need to periodically pause and consider the impact of daily life on our long-term plans. One area of personal planning which we rarely “revisit” is our estate plan. It is extremely important to review on a regular basis your planning objectives as they relate to your estate plan, including your will, power of attorney, health care advanced directives, and beneficiary designations. When reviewing your estate plan you should be sure that your plan is still accomplishing the objective you had in mind when it was created. Your plan should also be revisited when there are changes in your life or in the lives of your family because of marriages, births, deaths, divorces, change in state residence, or a change in financial status. Assets – Has the total value of your estate changed? Beneficiaries –Do you have a beneficiary(s) named to receive your estate if all of your family dies before you? Since you prepared your will or living trust, have there been any deaths or births? Are changes needed because of the marriage or divorce of one of your beneficiaries? Cash Value –Has there been any significant change in the total cash value in life insurance or some other part of your estate? Death Benefits – Since you prepared your will or trust, have beneficiary designations of life insurance, retirement or IRA benefits been coordinated with your plan of distribution? Executor –Since creating your will or trust, are the individuals selected to serve as guardians for your children still acceptable? Is the person(s) you’ve named to serve as executor under your will or successor trustee of your living trust still willing and able to serve? Is the person named to act as your power of attorney still able and willing to serve in that capacity? Final Wishes – Be certain that your desires are made clear for gifts from your estate to support your church, the New Work Foundation, or other charitable causes that are important to you. 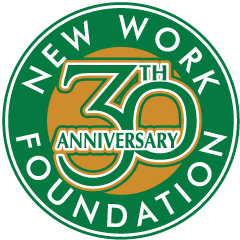 If your congregation would like to host an estate-planning workshop, please let us know at the New Work Foundation.